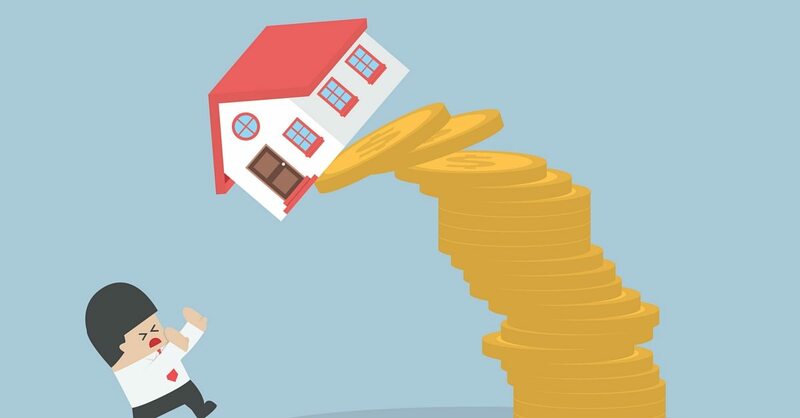 Home » Blog » What Happens To Debt When House Prices Fall? 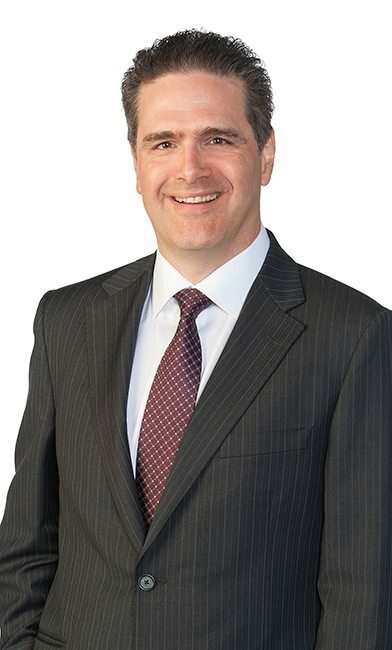 My guest on today’s podcast, Ben Rabidoux is the President of North Cove Advisors, a macro research firm that works with institutional investors like mutual fund companies, hedge funds, and pensions, providing a broad view of the economy at any time. Today he visits Debt Free in 30 to share his insights on the current status and future of the Canadian housing market. Construction employment, and employment in the FIRE industries (Finance, Insurance, and Real Estate services) are at an all-time high and represent a record proportion of GDP in most regions. These industries tend to cycle with housing so when they peak, so does the housing market. We just set a brand new record for residential investment; the percentage to GDP was 7.7%. We are way above where we’ve ever been in any previous peak. And so as an observer of that, to me it’s clear that there’s too much of the economy being driven by this… an economy that is too reliant on household borrowing and on building and selling condos to each other. real estate is cyclical and we tend to forget that when we go through these long boom times…And the next cycle, whenever that happens, you know, there’s a lot of evidence to suggest that it’s going to be worse than some of the previous cycles. Household debt is high by historic standards – roughly 165-175% debt to income. But Ben isn’t so concerned with the level of debt but rather what the distribution is within the average. The bigger question is, what is the distribution within that average? So what percentage of households have 500% debt to income, 600% debt to income, and how has that changed over time? The most recent financial stability review from the Bank of Canada found that the amount of highly indebted households have increased significantly since the early 2000’s, suggesting that there is a sub-segment of Canadians will be in financial trouble if interest rates increase or house prices fall. In today’s housing market, the average debtor has several options should they find themselves in financial difficulty. They could sell their home, downsize, and pocket the difference, they can refinance or access additional credit secured by their home equity. But what happens to debtors if house prices stagnant or fall? In a soft real estate market, their options start to disappear. They can no longer sell their home for a profit or refinance their mortgage to cover their debts. When house prices fall or stagnate, the arrears rate will jump. This was the exact scenario faced by US homeowners in the last US housing crisis. Ben talks about the risks driving prices today, and whether or not they are sustainable including foreign investment, baby boomers cashing out and helping their children buy into the real estate market, housing starts and, of course, interest rates. If you’re a young person and new to the job market, renting is a good option. If you’re a family with children, it becomes more nuanced. Look at what you can reasonably afford and try to have a 10-20% down payment. Don’t rush into the market because of FOMO – the Fear Of Missing Out. Be mindful of the industry you’re employed in – construction, finance, insurance, and real estate are cyclical and they haven’t seen a cycle in 20 years. 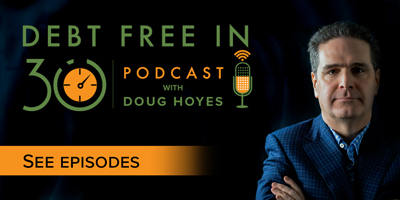 Doug Hoyes: Back in May on Show number 89, my guest was Hilliard MacBeth, the author of a book called When the Bubble Bursts – Surviving the Canadian Real Estate Crash. And in the acknowledgement section of that book, Hilliard acknowledges the contribution of Ben Rabidoux, North Cove Advisors, who provided valuable assistance throughout. Well, I actually first met Ben last November, when we were both on a panel at an investment seminar, and I’ve wanted to get him on the show since then to talk about his views on real estate. Does he agree with Hilliard that the bubble is going to burst, or does he think that real estate will be a great investment in the future? Well, let’s find out. Ben, welcome to the show, how are you doing today? Ben Rabidioux: I’m doing great. Thanks for having me. Doug Hoyes: Now, did I pronounce your last name correctly? Let’s start there. Ben Rabidioux: You know, you’re one of the few who did – usually people kind of butcher that last name, but no, you did great. Doug Hoyes: We got it good there – I think when we last met, you had to say it to me four times for me to get close there. So why don’t you give us a quick summary of what it is you do, you know, the company you work for, what exactly are you, what do you do that is related to real estate? Ben Rabidioux: Sure. I started a company called North Cove Advisors, and basically we’re a macro research firm. We work primarily with institutional investors around the world, so you know, mutual fund companies, hedge funds, pensions, etcetera. And yeah, I think I get most – I guess, mostly recognize me for my work housing, but that’s a relatively small part of what we do overall; we do – a broad view on the economy at any time. We do a lot of work on household credit trends, rates, currencies, etcetera. And then we’ve done some equities as well, so we do cover some stock names. But I have a keen interest in real estate. It has been kind of a passion of mine for a while and I’m quite happy to discuss that or any other topic you want to chat about. Doug Hoyes: Excellent. Well, let’s get right into it. And you are based in Ontario, is that correct? Doug Hoyes: So you understand, you know, what Canada is – obviously you’re looking at trends around the world, but you’re based here in Ontario. So okay, well let’s get right into it then. What do you see as the future in Canadian real estate? And I understand that there’s no such thing as Canadian real estate. Obviously Toronto and Vancouver are completely different than, you know, let’s say Woodstock is, but in general, where do you see the world going – the Canadian real estate market going over the next – I don’t know, year, two, three? Is it going to keep booming, is it going in the other direction, what’s the big picture? Ben Rabidioux: Sure. I guess I should preface that by saying I certainly don’t have a crystal ball, and I have expressed concern related to housing consumer debts. It’s been several years now and I’ve been spectacularly wrong on that, so you know, I’m happy to offer a view on it, but like everyone else, it’s certainly not a perfect track record. So look, my view is, I see a lot of areas for concern, and you are certainly right; we do not have a Canadian housing market. It’s very different by geography and certainly the Toronto single family market has a very different supply/demand dynamics than say Saskatoon. So no doubt about it, you can’t make broad statements. That said, you know, we can observe a few things. One is, the economy in Canada – and this is really true of anywhere you look – the economy and the labour market in just about every jurisdiction, has been incredibly levered to this current housing boom. And so what I mean by that is, if you look at things like construction employment and employment in the FIRE industries, which are finance, insurance and real estate services, all-time high in just about every jurisdiction across the country. And they represent a record proportion of GDP in just about every jurisdiction. And so those industries are obviously more than just housing. Clearly not all construction is building houses, not all finance employment is related to even mortgages, etcetera. But what we find when we look back over time, is those industries tend to cycle with housing, and when they peak, it generally corresponds with a peak in the housing market. And so a great example – two great examples – in the late seventies and late eighties, we had a noticeable peak in construction employment. We had a noticeable peak in what we call residential investment, which is new housing construction and renovation and commissions paid to realtors – those three things are what we call residential investment, and its percentage of GDP. They peaked at about 6.5% in the late seventies, which corresponded with a housing boom in BC and Ontario, which subsequently resulted in a very soft market. And then they peaked again in kind of high 6% in the late eighties, which, you know, if you were a homeowner in Ontario in that time, you will remember that after the late eighties, through the early nineties, was a very soft market for real estate. And so if you fast-forward today, we actually – we just had the latest quarterly when B2B Print came out, and we just set a brand new record for residential investment; the percentage to GDP were 7.7%. We are way above where we’ve ever been in any previous peak. And so as an observer of that, to me it’s clear that there’s too much of the economy being driven by this, which means that there’s, you know, moving away from an economy that is producing good and services, to an economy that is too reliant on household borrowing and on building and selling condos to each other, and so that’s a concern. And then, I guess, from the valuation perspective, house prices are very high relative to incomes, but there’s also the effect of very low – unprecedented low interest rates. I’m of the view that rates are going to stay low for a long time. I was probably one of the first people to really express the view that the interest rates in Canada were going to go substantially lower before they went higher, and that was back in 2012, and I’m still of that view. So you know, we could see – look, this boom could go on for a while longer. Again, I don’t have a strong view on when this will ultimately end, but what I can say is – and it’s something that your listeners would want to keep in mind is, your real estate is cyclical and we tend to forget that when we go through these long boom times. And the next cycle, whenever that happens, you know, there’s a lot of evidence to suggest that it’s going to be worse than some of the previous cycles. And I’m happy to talk about why that is, but you know, that I think is the big difference here between myself and Hilliard: I don’t have a strong conviction on when this boom unwinds. But we certainly share the view that when it unwinds, it’s going to be – probably going to be quite ugly. Doug Hoyes: It’ll be spectacular. So you know, quite a number of points there, so let’s see if can kind of break it down. First of all, you said that you’ve been spectacularly wrong on your outlook over the last few years. And I’m exactly the same way; I mean, you go through the archives and look at what I’ve said on various news programs and interviews and so on, and I’ve said oh boy, you know, debt’s really high and it can’t go up forever, and then of course it does and it does and it does, and we’re at very high levels now. So we’re both in the same boat. I think we agree that it’s a problem, but what we don’t know is when does the problem end? And with low interest rates, obviously I guess you can keep blowing up the balloon more and more. But let’s talk a bit about debt then, because after all, this show is called Debt Free in 30. So what role does household debt play in all this? You know, give me your thoughts on that. Ben Rabidioux: Sure. Look, household debt – I think everyone is quite familiar with the headline figures – 165% of disposable income. It’s a concern – it’s a real concern. Now, the counterpoint – and one you’ll often hear – again, the serviceability of that debt is reasonably benign right now. So in other words, when you look at the percentage of disposable income that families are paying to service like that, it’s high by historic standards – high – but it’s certainly not at all-time peaks. And then on the flipside people will often say well, yes, we have a lot of debt, but we also have a lot of assets. I’m far less convinced that that’s a really sound argument, because at the end of the day the asset side of the balance sheet, often times it’s housing itself. And you typically – you know, in a down-market it becomes officially difficult to sell the house to settle your debts. So it’s not like people can easily say oh well, I can just liquidate my assets to settle my debts – that doesn’t work in a down-market often times. So I mean, look, it’s a concern. To me, I think the bigger question is not what are the headlines – what’s the headline data, and there’s a lot of attention always every time we get a new Stat Canada print that comes out about, you know, the newest household debt levels, people always kind of freak out a bit about that. To me it’s always what we call the tail distribution that matters, okay, and so if you think about what is the distribution of household debts? So if we assume that, okay, on average it’s to 165 to 170% debt to income. So what does that mean? So that means on average people are owe $1.70 for every dollar of income they make. That in itself is not that concerning. If you picture someone who had that profile, that’s not a debtor that is in a lot of trouble. Okay, so the average is not the problem. The bigger question is, what is the distribution within that average? So what percentage of households have 500% debt to income, 600% debt to income, and how has that changed over time? So yeah, the big question is always, how fat is that tail distribution of risk growing and you know, we’re getting increasingly evidence, particularly out of the Bank of Canada in their latest Monetary Policy Report – I’m sorry, the latest Financial Stability Review – they did some great work looking at that exact question: what is the distribution debt, how has it changed over time? And they found exactly that, that the proportion of highly indebted households has risen dramatically since the early 2000s. And so what that suggests is, you know, there’s a sub-segment of the population is going to be in real problems if interest rates rise, and I think the other part that people often miss is, there’s going to be a lot of people that get into trouble if house prices stop rising. This is a point I’ve made often times, I get a lot of pushback from people on this, but I often hear people say, you know, well, if you look at the arrears rate in Canada, it’s very low, so that means that people are managing their money well. I think that’s the wrong way to think about it. And so people are often looking at the arrears rate as some sort of a leading indicator for the economy. It’s not, it’s not. And so I’ll give you an example of why that is. So if you picture a borrower – let’s say a home buyer that just purchased a home two years ago in Toronto, okay, and let’s say that they lose their job today. In that two years, their house has probably risen by twenty to thirty percent in value, so if they can no longer afford their mortgage, they have options: they can either sell their house, pocket the gain and look for cheaper cost of living. Or they can, as you know and as you’ve seen in your practice, they can go out and they can access additional credit secured by that housing equity. So they can go, they can refinance the mortgage, they can take out some money to — pay their bills; they can get a second mortgage or a third mortgage, and they can sort of kick the can down the road, and hopefully they find employment and house prices keep rising, it’s not an issue, okay. But if you instead look at a situation where house prices stopped rising or, God forbid, they fall, that same borrower, when they run into problems, they don’t have options. And so that’s when you see the arrears rate start to really rise. And we saw this in the US as well: if you look back at 2005, 2006, that’s when house prices started to flat line across the country in the US, and it really wasn’t until a year later when some of those riskiest borrowers could no longer refinance, when all of those exotic mortgages, like those adjustable rate mortgages, when they reset and those borrowers were not able refinance in conventional financing, that’s when you saw the arrears rate really spike. And so my idea has always been that the arrears rate is a lagging indicator and it’s going to be a function of house prices. So that’s why, you know, I’ve got this view that if house prices just flat line in Ontario, and if they go flat for a year or two – it doesn’t happen right away, but if they go flat for a year or two, but the economy doesn’t deteriorate – if all that happens is house prices just go flat, you’d probably see a doubling in the arrears rate. Now there’s an artificially low right now, if you look at it in Ontario, and that’s not the exact numbers, but it was something like fifteen basis points in arrears, so it’s 0.15% of the population is in arrears on their mortgage. That is unbelievably low by historical standards. Doug Hoyes: Yeah, it’s essentially nobody. Ben Rabidioux: The economy is not, you know, in sync. Yeah, nobody – nobody – so that goes to my point, you know, how can you default on a mortgage in this market when the prices are rising so quickly? You have so many options at your disposal. That changes dramatically when you see softness in the real estate market. Doug Hoyes: And so is there anything that you can see that would cause prices to stop rising? I mean obviously mathematically, house prices cannot go up forever; it means a one-bedroom condo in Toronto will eventually be worth $100 million. I mean, in the absence of hyperinflation, that just doesn’t make any sense. But is there anything else that could potentially cause a levelling off of house prices? Really just the general economy, or is there – could it be something else? Ben Rabidioux: There are a number of factors that I think are at work in the housing market. I think there is – it’s topic of some contention right now, but in my view, having done extensive deals in some of the frontlines, there is a sizable foreign bid in both Toronto and Vancouver, particularly in Vancouver, but also in Toronto. And you know, we don’t really understand the mechanics of the dynamics behind that, but it seems that there is definitely somehow – and the fact is that it is somewhat about capital preservation bid out of China in particular. Doug Hoyes: So you’re talking about Chinese investors, or people from outside of Canada buying real estate in Canada, perhaps because they need to get the money out of China, and that is helping support the real estate prices. Do you have any sense of how significant that is in a place like Toronto for example, or is it impossible to know for sure? Ben Rabidioux: Well, it’s impossible to know for sure. We don’t have hard data on this. The government is looking to collect hard data, so CMHC in particular is trying to figure out how to better track this. Well, my sense is this – and again, this is just – this is nothing more than just trying to triangulate anecdotes, so this is not scientific in any way, and you know, there is a saying that the plural of anecdote is not data, so this is not hard data by any means. But my best guesstimate is, we probably are seeing somewhere between five to ten percent of resale transactions in Toronto are foreign debts. And that’s obviously much higher in certain property segments and certain locations, but I think across all of Toronto it’s probably something like five to ten percent. I’d be surprised if it’s significantly higher than that. I think in Vancouver it could be 15 to 20%. Again, this is just complete throwing a dart, my best guess, having spoken to extensive, you know, people on the frontlines. But I think what you have to keep in mind is, so that’s the percentage of resale transactions, but when you look at the property types that are often being purchased, they tend to be much higher price points, particularly in Vancouver they tend to be kind of the ultra-luxury – you know, West Side Vancouver, single family, etcetera. And so if you look at it instead as a percentage of the dollar volume of sales, it could be three times that. So you could be talking 15 to 30% of the resale dollar volume in Toronto as foreign – that’s a huge number. And then there’s also the trickle-down effect, so the family that’s bought a home – a detached house in central Toronto forty years ago for some obscenely low price by today’s standard, is an instant millionaire and so they then often, as the anecdotes go, they would sell their house, they would gift some money to all of their adult children, who then in turn use that money to jump into the real estate market. Mom and Pop sort of downsize and move out of central Toronto. And so you can see how that trickle-down effect has had an impact on the rest of the market, so that’s a real dynamic. There’s some question around the sustainability of that dynamic in its entirety. I think there’s always going to be a foreign bid; Canada certainly is an attractive place. But I think the magnitude of the current bid is probably unsustainable, but that said, like I don’t think – and I don’t know exactly when that changes. We could see tomorrow that Beijing tightens capital controls and the bid drops by 50% overnight – it could happen, right. So we don’t know, but my feeling is that this is not a permanent sustainable bid in its current size; that there’s a subcomponent of this that is speculative. It is a hot money bid and one thing you can be certain is that hot money that flows into an asset class will always flow back out – always – at some point. So again, not the entirety, right; there’s some of this foreign bid that’s a legitimate – you know, we want to live here, we want to send our kids here, it’s a sticky bid – but there’s a speculative bid as well and that’s somewhat more of a concern. So that’s one dynamic that, you know, when we think about what could tip the market. And then certainly the broader economy. If we saw a broad slowdown, I think the most likely area where we would see a broad slowdown, at least in Ontario, would be more in the construction industry. You know, I’m still of the view that when you’re looking on underlying demographics, it’s difficult to make an argument that we’re building at a sustainable level. And so if housing starts to fall significantly and the level of construction and housing renovation were to fall, then you’ve got a big hit to the economy and the labour market. So that’s one area; you could get some sort of exogenous shock that the US goes into recession or who knows what. And then I think the third obvious one is interest rates. I’ve said that I don’t really think that’s going to be the trigger, but look, if the Bank of Canada moved, or perhaps more importantly, if the Federal Reserve and the rest were to hike up their twenty five or fifty basis points, that affects our bond market, and our five year fixed mortgages tend to be priced off of the five year bond yield. And so even if the Bank of Canada doesn’t move, we could find that fixed mortgage rates in Canada start to creep up. And there’s not really a lot of wiggle room on affordability there, so it could certainly pinch affordability and, you know, cause some sort of a reduction in demand. Doug Hoyes: So there are lots of potential factors. That’s very good. We’re going to take a quick break and then we’ll come back with a bit more with Ben Rabidoux. You’re listening to Debt Free in 30. It’s time for the Let’s Get Started segment here on Debt Free in 30. My guest today is Ben Rabidoux and we’re talking about real estate. So Ben, in this segment I’d like to talk about some practical advice. So what advice would you give to someone who is either in the real estate market today, or is thinking about getting into it? What are some things they should be practically thinking about? Ben Rabidioux: Sure. And first maybe I can preface that by saying that every person’s situation obviously is unique and not having any insight into the specific situation of some of the listeners, it’s difficult to give blanket advice. So you know, what I would say is, if you’re a young person and you’re fairly new in the job market and you’re debating whether to buy or rent a condo in particular – I’m going to use the word specifically with the segment of condos – I think today is a great time to be renting, because when you start to look at the all-in ownership costs versus the rental cost, it’s very difficult to make the argument that it makes sense financially to own at this point. And so that’s specifically the young people looking specifically at condos. Now, I think it gets a lot more nuanced when you start talking about families with kids and you start talking about single family homes, because there’s frankly a lack of good single family rentals. And that’s a market that is quite unique, particularly in places like Toronto, in that there are some legitimate supply constraints that are sort of keeping a lot of new inventory off the market. So there I think it’s not an easy discussion; you really have to look at how much can you comfortably afford, look at – you know, I certainly wouldn’t be buying a 5% down in this market; I would certainly wait till you’d saved, you know, ten, fifteen, twenty percent ideally. And then also, I would just say that, you know, avoid this whole fear of missing out. We’re hearing this a lot in the media that people are really rushing to buy in because they’re fearful of being priced out of the market forever. That sort of mentality typically leads to very bad decisions, and it’s also highly indicative of some late cycle type mentality. That’s usually not the sort of mentality that you see in a normal, healthy market. And so just be mindful of that; if you’re rushing out to buy simply because you’re fearful that you’re going to priced out of the market, it’s probably not a good decision. So keep that in mind. And then the other thing I would just say is, be mindful of the industry you’re employed at. As I mentioned earlier, we do have a record percentage of employment in construction, finance insurance and real estate industries. These are industries that are cyclical, but that haven’t seen a real cycle in twenty years. And so if you are employed in the construction industry – particularly if you’re employed in residential construction – recognise that this is the best of times and you are in a cyclical industry, it’s not always going to be this good, and budget accordingly. Make sure that you’re taking this opportunity with the market boom in the way it is to aggressively pay down your debts and to prepare for the reality that there is going to be another cycle in this space, and you want to be prepared for that. Doug Hoyes: So you mentioned aggressively paying down your debts; what thoughts do you have on the whole debt area then? Obviously lower debt is better, I guess, or is this the time to be leveraged up to the hilt? Ben Rabidioux: Well, that’s the big question. Look, if rates stay this low forever, then it’s probably great time to be taking on debt. But the reality is, we don’t know, and the reality is that rates are at unprecedented lows, and they are likely to be moving higher over the longer term. It’s probably a great time to be paying off your debt, particularly high interest debt – it is a great time to be paying that off. And look, I know that we’re in an environment right now and in an economy where a lot of people are taking on consumer debt to finance consumption type goods; to finance toys and to finance trips, etcetera. That’s a pretty bad idea, so if you’re going to be taking on debt, you know, as much as you can, make sure it’s being put to use in a productive manner, so either purchasing assets or education, etcetera. Do your best to avoid that consumer debt, because it is a real temptation with rates this low, but just recognise that rates won’t always be this low and the economy won’t always be this – so this is a great time to be aggressively paying those down. Doug Hoyes: And I can’t disagree with that. So I guess the final comment and maybe the final thing to leave people with is, everything moves in cycles and just because the real estate market has been up for ten straight years in Toronto, doesn’t mean it will be up straight for the next ten years. You’ve got to be mindful of the fact that we’re potentially nearing the end of that cycle, maybe not tomorrow – I mean, we’re recording this in June of 2016, so if people are listening to it in the future, things may have already changed. But that’s a key point, I guess – recognise where we are; things are pretty toppy and so being aggressive now is probably not a good idea. Ben Rabidioux: Couldn’t agree more. Doug Hoyes: Great. Thanks, Ben. So the practical advice is if you’re a young, single person looking for a condo in Toronto, now is a great time to rent. What you’ll pay per month in rent is less than you’ll pay in mortgage payments, property taxes, condo fees and repairs and maintenance. So unless you think the real estate market will continue to increase for the next few years, it’s an easy decision. It’s a bit more tricky if you have two kids, a dog and a cat, because rental accommodation for families is a bit harder to find, so that’s when you have to crunch the numbers to make sure you aren’t taking on more debt than you can afford. Ben, thanks for being with me today. I really appreciate it. Ben Rabidioux: My pleasure. Thanks, Doug. Doug Hoyes: Thanks, Ben. That was the Let’s Get Started segment. I’ll be back to wrap it up right here on Debt Free in 30. Doug Hoyes: Welcome back. It’s time for the thirty second recap of what we discussed today. My guest today was Ben Rabidoux, who described some areas of concern in the Canadian real estate market. He said that real estate is cyclical and just as prices corrected back in the late 1980s and early 1990s, it could happen again. That’s the thirty second recap of what we discussed today. I agree with Ben’s point about FOMO – the Fear Of Missing Out. Many people today see that interest rates are low, and since it seems that real estate keeps going up in value forever, they want to get in now, because they don’t want to miss out on future gains. Well, it’s mathematically impossible for prices to go up forever, so be very careful not to borrow more on a mortgage than you can pay back. It’s no fun being house-rich, but not having any cash left over to live your life. Ask yourself the question, if I was to lose my job, or if my income was to go down, could I still pay the mortgage, the property taxes, the repairs and maintenance and my condo fees? If the answer is no, you’re probably stretched too thin and as Ben said, for many people, now is a great time to rent.